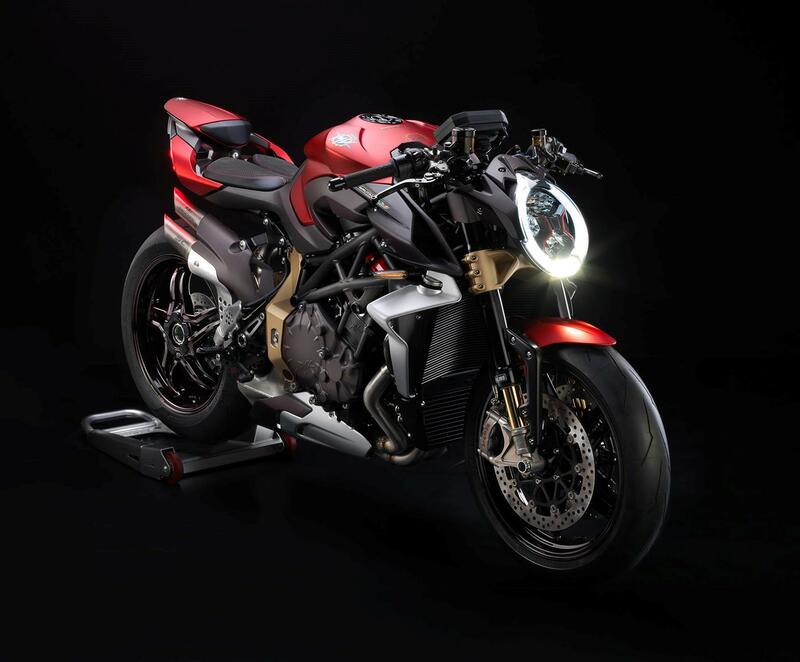 MV Agusta have released details of a 212bhp version of their naked Brutale model. 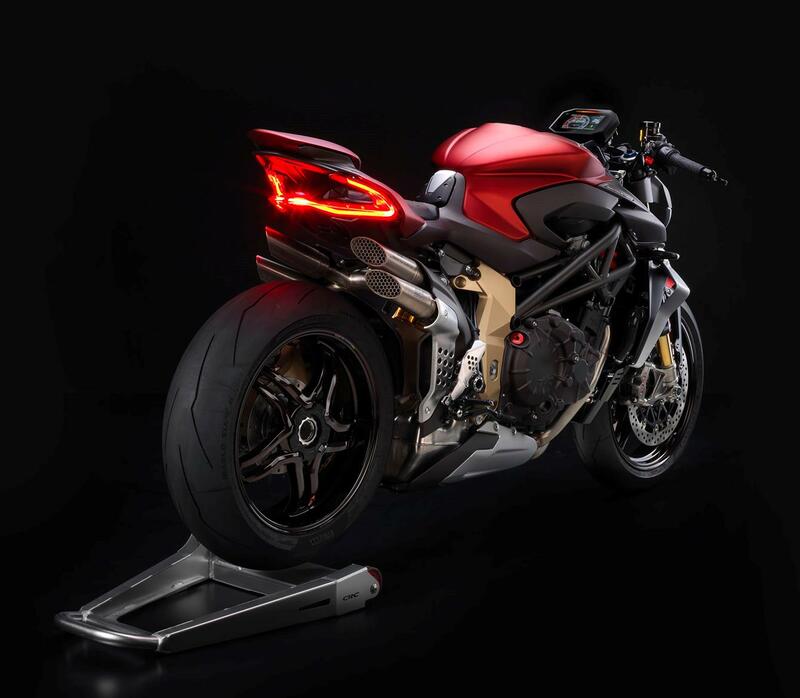 The MV Agusta Brutale 1000 Serie Oro will be the most powerful naked sportsbike in the world, and all that power will be harnessed by a state-of-the-art electronics package. 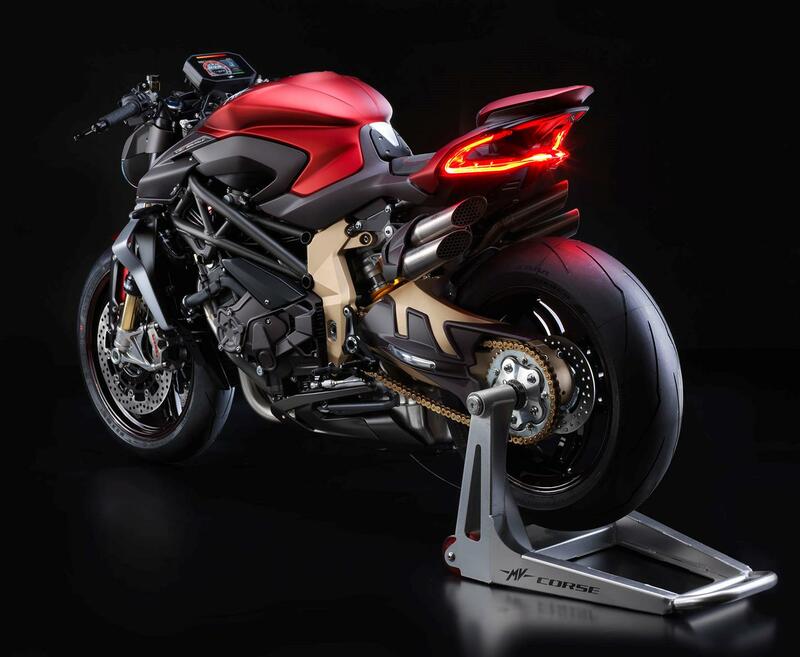 The bike also won "The most beautiful motorcycle of the show" competition at Eicma 2018 winning 35% of the votes from 16,000 attendees. 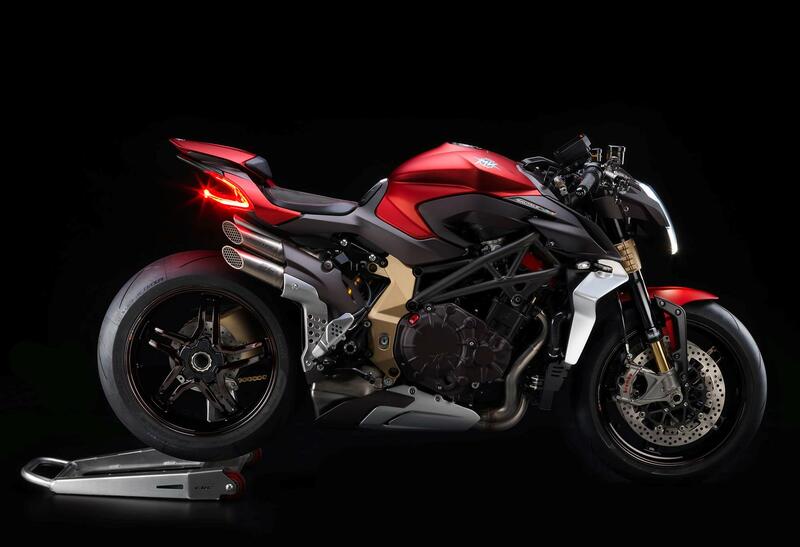 Closely related to the Italian brand’s range-topping MV Agusta F4 RC superbike, the new machine will use a transverse four-cylinder engine with radial valves and a central timing chain and is expected to cost around £39,995. Only 300 will be made, with deliveries expected in June. 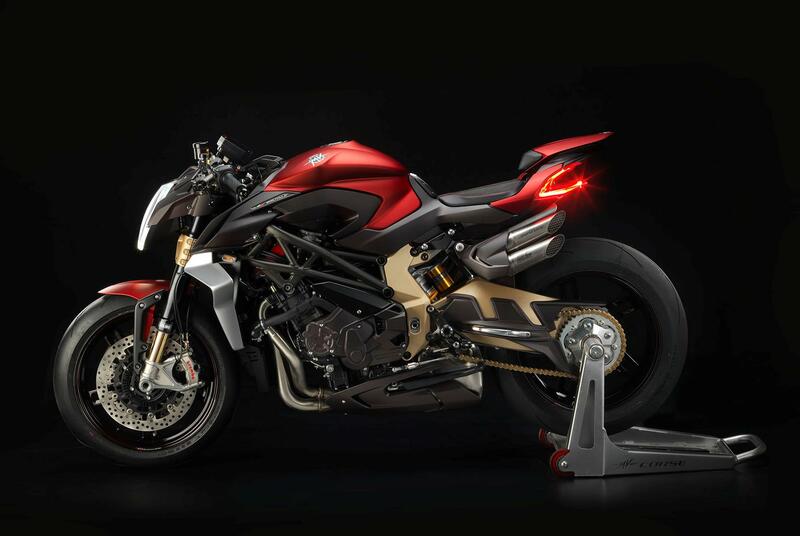 The Brutale 1000 Serie Oro will also use Ohlins suspension, with the shock and steering damper controlled by a dedicated ECU. Handling will also be affected by spoilers by the radiator to increase downforce at speed and improve stability under braking. The new Brutale gets a 5-inch, full-colour, TFT dash with Bluetooth multimedia connectivity to manage calls, text and music. The bike is riddled with carbon components, including the wheel rims and tail fairing to keep the weight down. 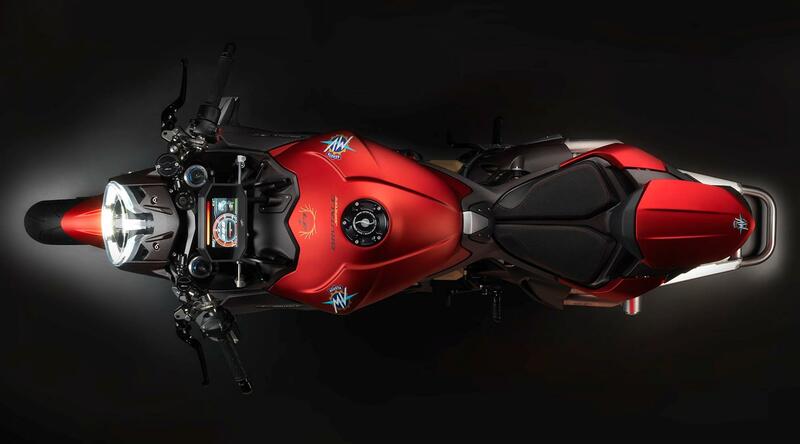 The speed and power of the Brutale 1000 means that serious brakes are a must. Brembo Stylema calipers controlled by a Bosch 9.1 ABS system and 320mm discs should be up to the job. 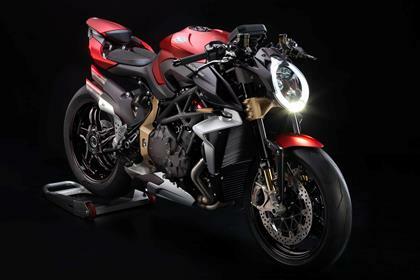 No owners have yet reviewed the MV-AGUSTA BRUTALE 1000 Serie Oro (2019-on).